Baechu Kimchi - This will be Korea's most popular and probably be the best known of the Thai people. Today we will show you how to make real Korean kimchi by Korean people to all of Foodtravel.tv member. With various ingredients that you can find in Thailand. If you want to try making Kimchi by your own at home, you shouldn’t miss this clip at all. 1. Rinse the cabbage by remove the outer lose leaves. Cut cabbage into 2 parts. 2. Mix salt with water for soaking cabbage. 3. Put salt in each layer of cabbage leaves. Then put in the saline. Follow this step with all leaves. 4. Soak cabbage that you already put salt into it for 5 hours. 5. After 5 hours later, squeeze the water out of cabbage. Set aside on the sieve. 1. Put sliced radish into a mixing bowl, follow with blended goat pepper, glutinous rice (mix with boiled water) and mix well together. 2. Put Korean chili, blended garlic, blended onion, blended apples, blended ginger, blended Opossum shrimp, and blended fresh shrimp to mix well by hand. 3. After the ingredients are well combined. Taste as you like, add sugar, spring onion and mix them well. 4. After soaking cabbage for 5 hours and squeeze the water out already, put in Kimji then. Baechu Kimchi - This will be Koreas most popular and probably be the best known of the Thai people. 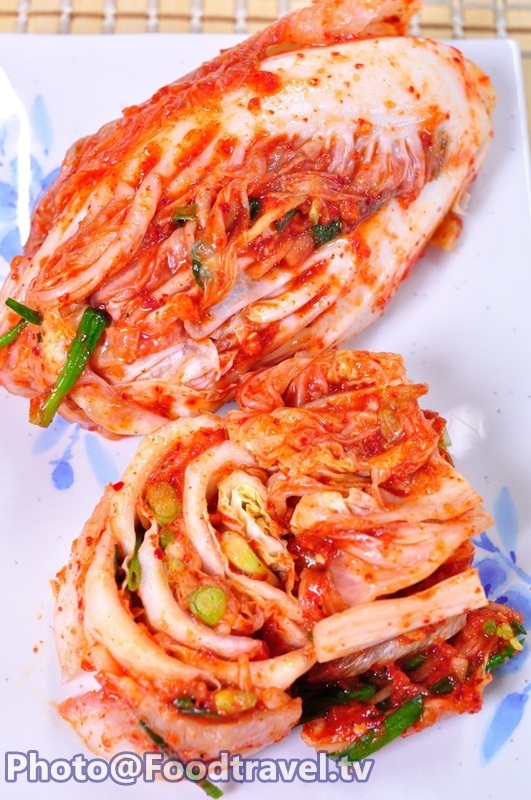 Today we will show you how to make real Korean kimchi by Korean people to all of Foodtravel.tv member. With various ingredients that you can find in Thailand. If you want to try making Kimchi by your own at home, you shouldn’t miss this clip at all. 1. Put sliced radish into a mixing bowl, follow with blended goat pepper, glutinous rice mix with boiled water and mix well together.